Many people suffer from anxiety…adults as well as children. But the question is: how to help kids deal with anxiety. The Show Me How program uses picture books to help young children deal with the challenges they face so today, for Perfect Picture Book Friday, I’ve chosen a story that addresses that problem. Overcoming anxiety, worrying, family support, empowering children, believing in yourself. MJ doesn’t swim with her family when they went on vacation because she was worried about sharks. She didn’t ride a horse at camp because she was worried she would fall off. And she didn’t go to a friend’s party because she was worried no one would play with her. MJ’s mother realizes there is a problem and takes her daughter to their pediatrician…who recommends they see a counselor. The counselor is able to help MJ find ways to relax and view her fears in a more realistic way. This is a PERFECT book for young children who are beset with worries and anxiety (as many are). I wish this book had been available to me when I was a little girl. Ms Helsley provides the actual anxiety-relieving exercises that a counselor would give to a child who had this problem. In addition, there are parenting tips at the back of the book that will be helpful, not only to a parent for their child…but also to anyone who suffers from anxiety. Your child will have so much fun, making these ‘worry-less’ glasses. Put them on…and help your child examine carefully the things that are worrying him or her. Sometimes talking about a problem and sharing it will lessen its power. You will need: Pipe cleaners, piece of cardboard, markers, pair of scissors. Bend one pipe cleaner into a circle and twist the ends together. Do the same thing with another pipe cleaner. Twist two pipe cleaners together to form the nose piece…and attach an end to each of the circles. Fit the glasses on your child’s face and bend down each temple piece so the glasses stay on your child’s face. If you like, you can cut out cardboard circles to fit in the glasses and draw eyes on them. Then cut out a circle in the middle of each so that the child can see out of them and fit them into the pipe cleaner glasses. Personally, I like it better without this…less muss, less fuss…and less chance of the child getting frustrated by the cardboard circles falling out. Today is the last day of November…what a jam-packed month this has been. If you haven’t visited any of the websites below…and you love picture books (writing them or reading them)…click on any of the links and visit. Picture Book Month: Visit the website of Dianne de Las Casas to join in the month-long celebration of PICTURE BOOKS! Every day, a different picture book champion (author, illustrator, etc.) is guest posting…you won’t want to miss these….they will inspire you and help you remember just why you love to read and write picture books. 2. Picture Books and Crafts for Kids: Please pass the word about this new YouTube series for parents and teachers and kids…every Sunday, I’ll be choosing a picture book to read aloud…and then I’ll do a simple related craft project. Two weeks ago, I spotlighted Yes We Can by Sam McBratney and last Sunday I read The Little Red Caboose by Marian Potter and we created a geometric-shape train picture. This coming Sunday I will be reading The Worry Glasses. And of course, we will be making the “Worry-less Glasses”. Each segment highlights a parenting problem such as setting up good bedtime routines or a children’s challenge like learning to be a good friend and believing in oneself. PiBoIdMo: Picture Book Idea Month is the brain-child of children’s author,Tara Lazar. If you signed up, you are already immersed in the world of picture books…trying to come up with 30 fresh ideas for picture book manuscripts during this month. But, even if you have not joined the challenge, please run over there…don’t walk… to read an AMAZING guest post EVERY DAY this month…these posts will instruct and educate you…as well as motivate you to write the picture book that every child will want to read over and over again. Please don’t forget about Reach Out and Read…we need to GAB (Give a Book) before they can ROAR (Reach Out and Read). If everyone who loves to read donates enough to buy just one book, the New York City Bellevue Hospital program (one of the largest in the country) will be able to replace the books that were lost in Hurricane Sandy. Julie Hedlund’s 12×12 in 2012 Challenge to write a picture book draft each month has only ONE MORE MONTH TO GO. I did complete my November draft…hurray!!! And I am already looking forward to her 2013 Challenge. If you didn’t join in this time, please think about doing it next year..click on the link and sign up…the challenge really keeps you on track…the support and encouragement is amazing…and, did I mention…there are PRIZES!!!! I have yet another important cause I am supporting…it is the STAR Program (Sit Together and Read) from the local Colorado Springs Community Partnership for Child Development (CPCD)…they interact with families in many important ways…this program provides picture books to families in need…homes where the children would not have any books if not for this interaction. On December 10th I will be going to their office to deliver what I hope will be a VERY BIG PILE of picture books. Click on their facebook link above if you are interested in getting involved. Young children don’t need fancy electronic gadgets…they only need a good picture book, a few simple inexpensive art supplies (like paper, crayons or markers, safety scissors and glue stick) and your positive participation. If you are looking for a great resource that will give you 100 picture book summaries and easy matching craft and cooking activities, you can purchase a copy of Show Me How! Build Your Child’s Self-Esteem Through Reading, Crafting and Cooking. MoneyPenny Press (our publishing company) is offering the book for $19.95 on Amazon, this book makes a PERFECT gift for any parent or teacher of children ages 2-8…as well as for daycare providers and grandparents. No batteries required…powered by a child’s imagination! If you order from my website in the month of December, there will be THREE HOLIDAY GIFTS with each book…the price is a little more than on Amazon…but with the three gifts (FREE SHIPPING, A HAND-CRAFTED FABRIC BOOKMARK FOR THE PARENT, A SHINY NEW PENCIL FOR THE CHILD)…it evens out the cost. Three Holiday Gifts From Show Me How! The Holiday Season is here and we have three holiday gifts for you from Show Me How! Buy a copy of Show Me How! Build Your Child’s Self-Esteem Through Reading, Crafting and Cooking on my website. Gift #2: Beautiful HAND-CRAFTED fabric bookmark for you! Gift #3: Shiny new pencil for your child! Who should buy a copy of Show Me How? How will Show Me How! Build Your Child’s Self-Esteem help your family? Builds your child’s self-esteem…kids with a positive self-image are more willing to accept new challenges and keep trying if they fail at first. Quick and easy activities…cut out the planning time of trying to think up new things to do with your kids. Helps strengthen the parent-child connection and creates a life-long parent-child bond. Encourages kids to become lovers of books and reading…they will have greater success in school and in life. And don’t forget…THREE HOLIDAY GIFTS FROM SHOW ME HOW! Who recommends that you buy this book? DON’T DELAY!!! When you buy the book, you will receive THREE HOLIDAY GIFTS FROM SHOW ME HOW! And, did you know that a portion of your purchase is always donated to several children’s organizations…so you are helping others as well. This coming week, we will be donating to the STAR PROGRAM (Sit Together and Read) sponsored by the Community Partnership for Childhood Development. Many families cannot afford to buy picture books for their children…Show Me How is going to make sure that some of those children WILL have books this holiday season! Jake at Time after Time has a Sunday Post Challenge and every week he provides a theme…this week’s theme is NATURAL RESOURCES. Have you ever thought about what are our greatest natural resources? 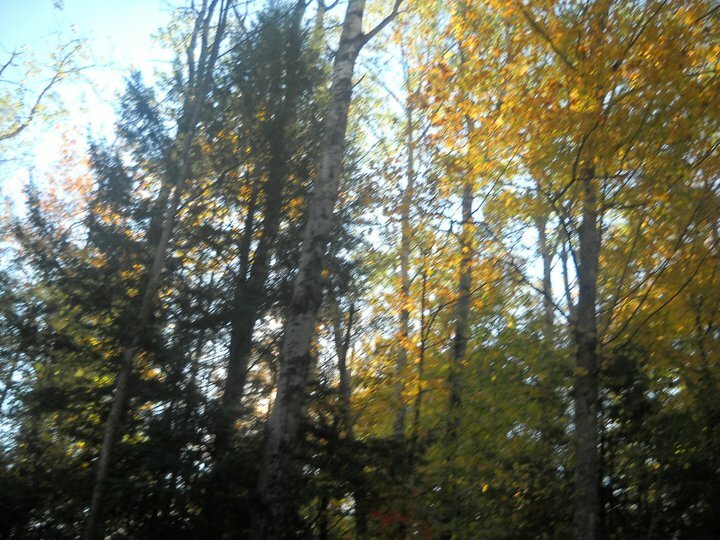 Are they forests of timber? 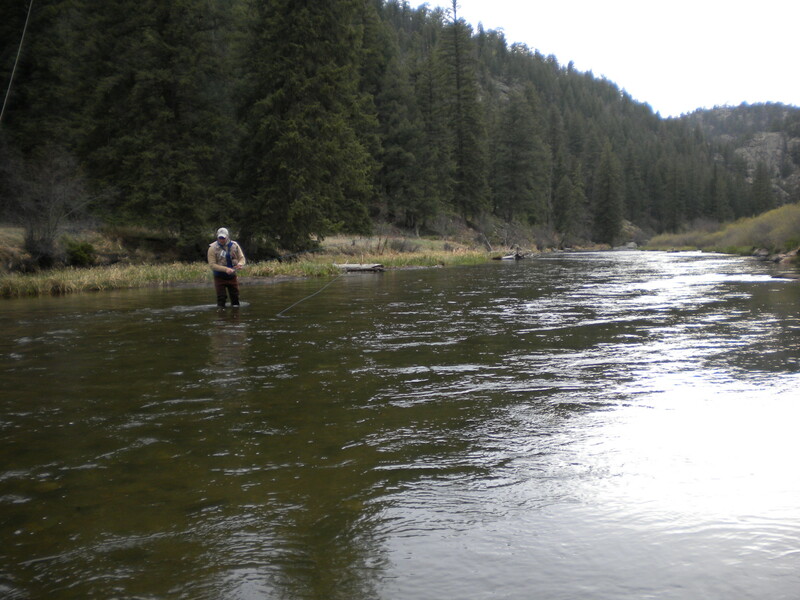 Are they pristine rivers flowing freely? Are they the foods that the earth provides? I believe that our most important natural resources are the children of the world. Some people devote their entire lives to helping them. Donate money to a children’s organization. Collect gently used clothing and books for a local family shelter. Volunteer to read to children at hospitals, schools or libraries. A kind word and a smile CAN make a difference. It’s hard to believe that Christmas/Hanukkah/Kwanza are only a few weeks away. Are you done with your holiday shopping? 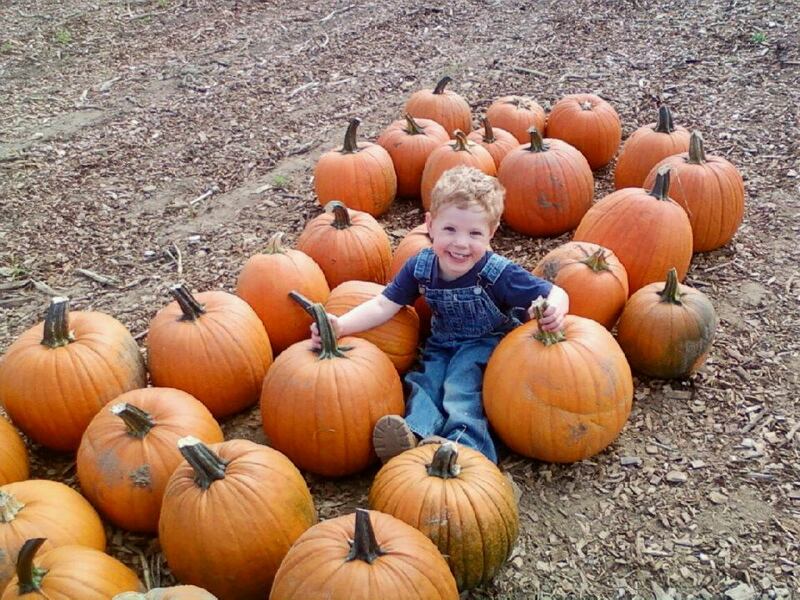 For parent, teacher, grandparent or daycare provider of children ages 2-8! Provides 100 classic picture book story suggestions! Gives a summary, age-appropriate craft and simple recipe for each title! A great resource for fun-filled educational self-esteem building activities! No fuss or muss…everything is quick and easy! Buy the book today and help several children’s organizations! We donate a portion of the proceeds to Reach Out and Read, JDRF, KidsAreHeroes, Books for Africa and BesstheBookBus. You pay almost 50% less than the cover price! There is a special PayPal button for Canadian residents! Don’t wait…buy your copy today to make sure you get it in time for the holidays! PPBF: Parenting Advice from Andy Griffith…Set the Rules! Before I get to the picture book review, I wanted to share some thoughts about parenting. Last night, my husband and I enjoyed watching an old Andy Griffith Show from the 1961 season…”Opie’s Hobo Friend”…guest starring Buddy Ebsen. These days, single parent homes are pretty common. 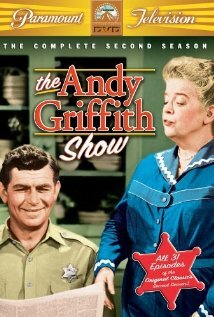 But the Andy Griffith Show, starring Andy Griffith as single dad Sheriff Andy Taylor and Ron Howard as his son, Opie, was a ground-breaking concept for television in the late 1950’s and early 1960’s. Every episode was filled with warmth, good humor and the charm of a bygone era. Amazingly, every episode was also filled with sound parenting advice. Unlike many family situation comedies we see on television these days where the mother and/or father are portrayed as bumbling fools, Andy Griffith was a strong, compassionate and loving father, not above making a mistake and saying he was sorry, but always cognizant of his role as the parent and all that entailed. In this particular episode, Opie becomes enthralled with a drifter and starts to imitate him. Andy insists that the drifter leave town, but the drifter challenges him and says that Andy should let his son decide what kind of life he wants to have. Andy’s reply is one that every parent needs to take to heart and remember. This single dad was not afraid to set the rules and enforce them…he always did it with love and compassion, but he was never swayed from being the parent. I know this is ‘only’ an old TV series…but I believe this is a powerful message for all parents today…set the rules with love, enforce them with compassion and remember to be the parent! Our perfect picture book today is about another single-parent family. 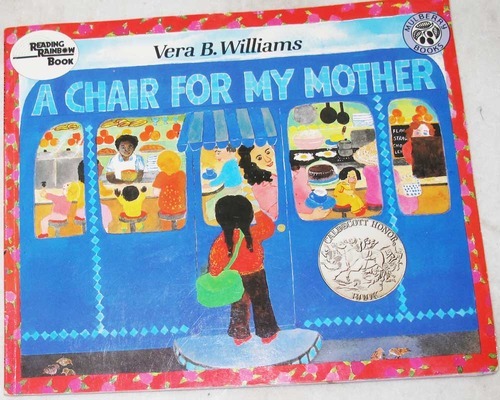 When all of their possessions burn in a fire, a little girl and her mother and grandmother begin saving their coins so they can buy a special armchair that they can all sit in. Each day they add coins to the jar until it is so full they cannot put another one in. The chair they buy is gloriously colorful and it epitomizes the hope they have for the future. This book is a Caldecott Honor Award winner! The illustrations are glorious…the sweet story relays how resiliant children are…the shared goal brings the family together and strengthens them. A lovely story-time choice for any child, but especially powerful for single parent families or those who have experienced the disasterous loss of fire or flood. One of my most favorite memories is sitting at the kitchen table with my mother, working together on a diorama. You will need: 1 shoebox, small boxes and/or styrofoam, construction paper, scissors, glue stick, magazine pictures. Decide what scene the diorama will portray. Cover the ‘walls’ of the room (shoebox) with decorated construction paper or pictures cut from a magazine. 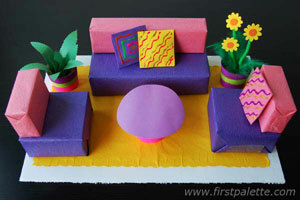 Help your child cover the boxes/styrofoam with construction paper to form ‘furniture’. Glue the pieces in the box. Because November is such a special month and there is so much going on, I want to reshare some links to wonderful events going on in the kidlit/picture book community because I never know when someone new visits my blog who might not know about them. Young children don’t need fancy electronic gadgets…they only need a good picture book, a few simple inexpensive art supplies (like paper, crayons or markers, safety scissors and glue stick) and your positive participation. If you are looking for a great resource that will give you 100 picture book summaries and easy matching craft (like the diorama above) and cooking activities, you can purchase a copy of Show Me How! Build Your Child’s Self-Esteem Through Reading, Crafting and Cooking. At $19.95, this book makes a PERFECT gift for any parent or teacher of children ages 2-8…as well as for daycare providers and grandparents. No batteries required…powered by a child’s imagination! Buy your copy today! Spending time with each helps keep the spark alive…relationships are strengthened when you take on challenges together. Today, November 22, 2012, is Thanksgiving. It is also the 49th anniversary of the assassination of President John F. Kennedy. And I have found that to be true. 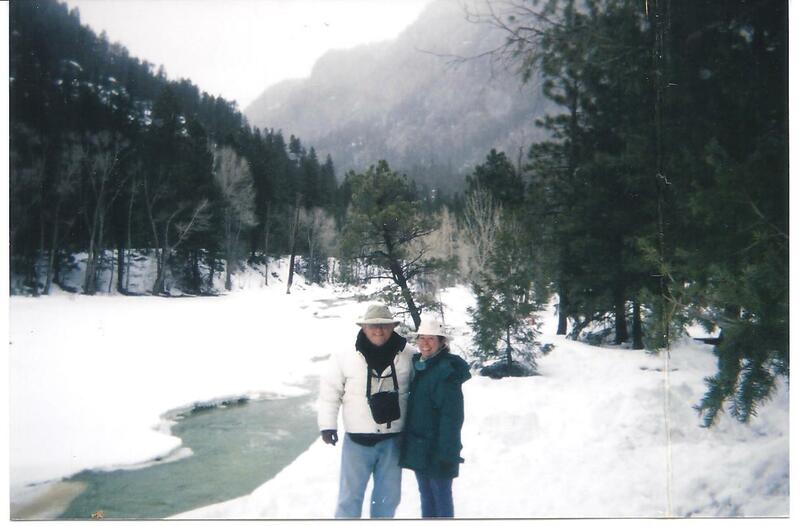 Last Valentine’s Day, I did a guest post on Bob Brody’s Letters to My Kids blog, sharing with my children how I met their dad. Mr. Brody encourages parents to write letters to their kids…here’s an excerpt from that post. 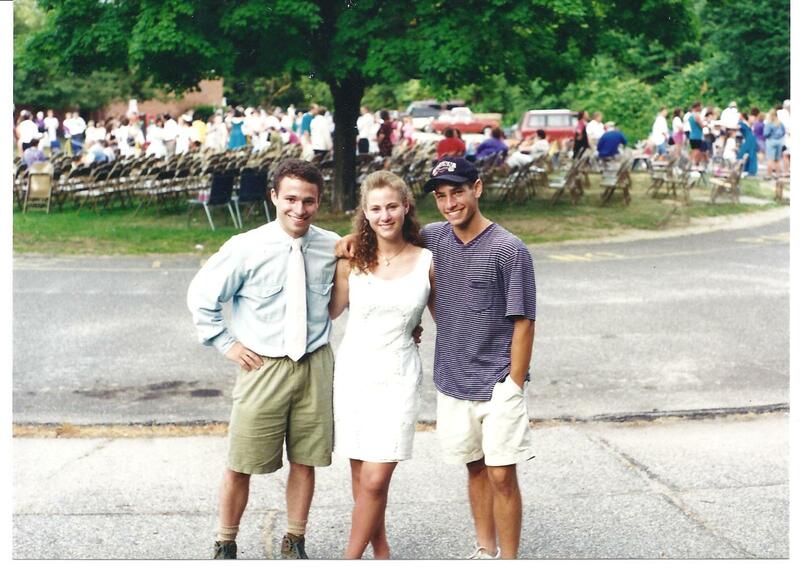 Your future dad and I met as freshmen in college. I sat in front of him in English 1.1 and he sat in front of me in Social Science. Both of us were dating other people pretty seriously. And so for the first two months of the fall semester, we were just classmates who spoke with each other as we walked into or out of the room. For several moments no one reacted. And then everyone did. Screaming! Crying! Young men pounding their fists on their desks! As we all exited the classroom, your future dad was right behind me. As it happened, we lived only four streets away from each other. By the way, there are some girls who look fantastic even when they cry. If only I were one of those. Whatever eye makeup I was wearing was smudged and probably dripping onto my cheeks and chin. Plus, my nose was red and my skin blotchy. No matter. Your future dad and I walked and talked for over an hour, until we reached my house. And when we looked at each other, I know we saw into each other’s souls and we wanted to walk and talk together forever. Our relationship grew stronger and closer during that next semester. By the summer, we were dating each other exclusively. We got married as soon as we graduated from college. And our relationship has flourished ever since. To this day, we remain the most loyal of soul-mates. Out of tragedy, then, came an unexpected opportunity for love. In a sense, sad to say, it took a death to bring you all to life. We’ve never forgotten that, and we never will. Children love to hear about how their parents met. They want to know about their parents’ childhoods…did dad get into trouble for misbehaving in school…did mom play with dolls or tag after an older brother. Kids enjoy hearing about when they were babies. Writing letters to your children helps give them the knowledge of experiences and strengthens their feeling of belonging…a very important component of self-esteem! Have you ever written a letter to your child? I wish everyone a most Happy Thanksgiving Day! Will you be rushing out tomorrow for the Black Friday specials? If you are looking for gifts for parents or teachers of young children, I encourage you to save yourself time and money…Show Me How! Build Your Child’s Self-Esteem Through Reading, Crafting and Cookingis the perfect present…and you can quickly and easily buy it online. 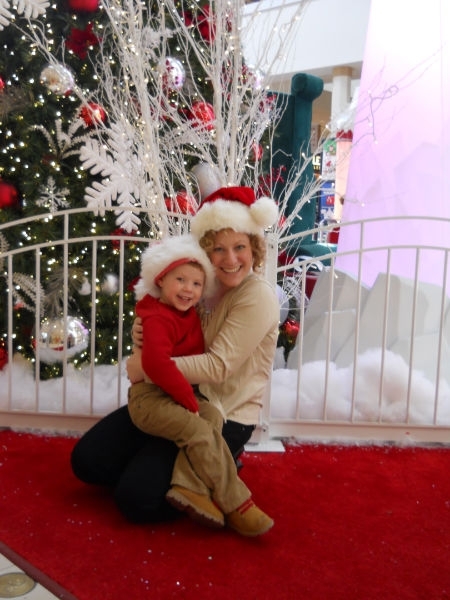 If you are looking for gifts for young children…check out my Top Ten Gifts List. You will not have to worry about buying batteries or finding an unused electrical outlet for ANY of these items! 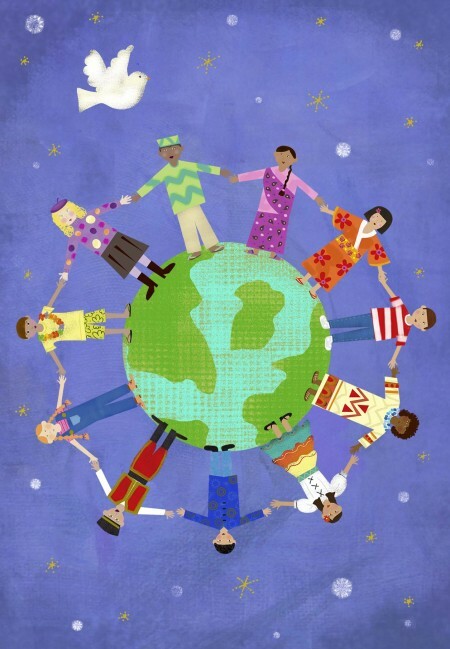 On December 13, 1954, the General Assembly recommended that all countries institute a Universal Children’s Day, to be observed as a day of worldwide fraternity and understanding between children. 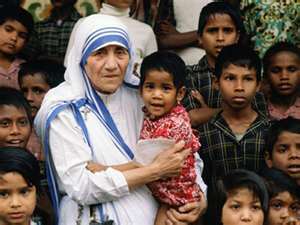 It also recommended that this day be devoted to promoting the welfare of the children of the world. Then, on November 20, 1959, the Assembly adopted the Declaration of the Rights of the Child. And, in 1989, the Convention on the Rights of the Child was held. During the last seventy years, there have been lots of meetings…lots of declarations…lots of conventions…and lots of talk about the rights of children. So why are there are still millions of children living in poverty, denied the right to a safe home, clean water, adequate nourishment and an education. Children’s author Susanna Leonard Hill often has creative writing prompts and contests to inspire and motivate…last week she encouraged us to choose a special day or holiday to write about. I choose Universal Children’s Day…and, although the poem is not a bright and sparkly one, it truthfully relays my feelings. education is the right of every child). terrorists (to live in a safe home is the right of every child). blistered because every day he walks three miles to gather the family’s water from a tainted pond (to drink clean water is the right of every child). friendship, peace and universal brotherhood is the right of every child). Tenderly touching and soothing every child’s heart…if only I could. (to grow up in an atmosphere of love and understanding is the right of every child). There are many worthwhile organizations, working diligently to remedy this situation. Some give food, others help build homes and wells, and many send volunteers to give medical or other assistance. As we sit down to celebrate Thanksgiving this Thursday, perhaps we can ponder how each of us can help in this effort. It doesn’t matter whether you reach out across the ocean and donate money, goods or services to children in other lands, or you concentrate on local children’s issues. Let’s follow the advice of Nike and “JUST DO IT!” The children of the world deserve it! Don’t over-schedule activities…less is more. Do eat healthy…avoid too many sweets or processed foods. Don’t over-spend…no one needs the latest electronic gadget or toy. Do take time out to walk/exercise…it’s a natural mood-enhancer. I’ll be sharing Christmas/Hanukkah related stories and crafts for the next few weeks of Show Me How Picture Books and Crafts for Kids…next Sunday: Gift Bear for the King! I hope you’ll check it out…and pass the word along. Jake at Time after Time has a Sunday Post Challenge and every week he provides a theme…this week’s theme is ARCHITECTURE. I held my mother’s hand as we approached the impressive façade of the eight-story building, my older sister excitedly chattering about the dress she was going to buy to wear at her junior high school graduation. 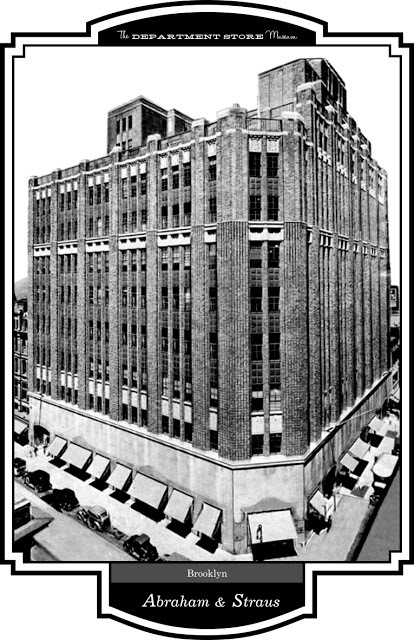 Located in downtown Brooklyn, Abraham & Strauss was a well-known department store with floors and floors of the finest merchandise. Perhaps you are shocked and horrified that any mother would leave a nine-year old girl alone in a department store in New York City. Looking back on the experience, I’m also surprised that she did…but it was another time…over 50 years ago…and people felt a lot safer, even though perhaps they weren’t. I wandered around, happy as a clam (are clams happy? ), picking up this book and that book and just reveling in the ecstasy of having so many books at my disposal. 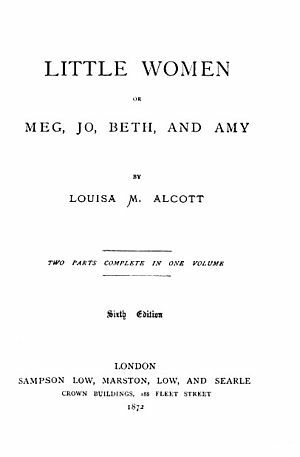 I finally choose LITTLE WOMEN by Louisa May Alcott, one of my favorites. I sat down on the floor and proceeded to read the entire book from cover to cover. When I am engrossed in a book, the world outside of the book ceases to exist for me. Is it that way for you? I had no watch…time stood still for me until I finished the last page, closed the book and crawled out from my quiet little cubbyhole under one of the tables. “THERE SHE IS!!! !” I saw my mother and sister running towards me. Several policemen, uniformed store security guards and sales clerks were with them. Later, my mother explained that after several hours of shopping for my sister’s dress, they returned to the book department, but couldn’t find me (I am very petite and at age nine, I was even smaller). Store personnel and the police were called in to help search throughout the entire store because they believed I had walked away from the book department. Walk away from a book department? It’s obvious they didn’t know the real Vivian! I’m sure my mother never did that again…but at no time during the experience was I frightened or concerned. I didn’t think I was lost in the store…I was lost in the world of the book…and I was very happy to be there. Why should we read to young children? Research shows that young children who are read to on a daily basis have greater school success. Buildings like the old Abraham and Strauss needed a strong foundation…children need a strong foundation as well…and books contribute a very important part of that. Why should we limit TV and participate with young children in other activities? Recent studies point to possible future health problems when kids get too much ‘screen time’. With the holidays just around the corner, are you wondering what to get for friends who have young children, teachers who teach young children, grandparents or daycare providers? A brand-new, signed and inscribed copy is just $19.95 on Amazon (there are several used copies from other book dealers being offered for $50 – $60). The book contains 100 picture book suggestions with a summary, quick craft project and child-friendly recipe for each recommended title. In addition, there is a gentle parenting tip and lined space for writing your own notes on every page. This is a must-have book…you’ll never wonder what to do with your kids…and they won’t have to turn to the TV for entertainment. Get your copy today!